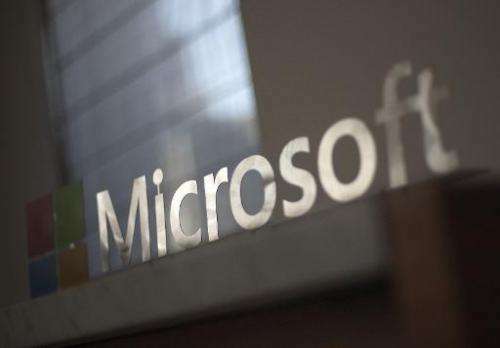 Microsoft on Wednesday followed in Google's footsteps by letting people in Europe ask to have links related to them 'forgotten' on its search engine Bing, under the auspices of a court ruling. An online request form allowed people to identify specific web pages they thought should be omitted from results served up in response to Bing queries on their names. "This information will help us to consider the balance between your individual privacy interest and the public interest in protecting free expression and the free availability of information, consistent with European law," the Bing form stated. "As a result, making a request does not guarantee that a particular search result will be blocked." People submitting requests are required to prove who they are and whether they are a public figure such as a politician or celebrity. They are also asked to indicate whether they believe the information at issue is out-of-date, false, incomplete or inappropriate. Google said it has received more than 70,000 requests since it put a form online on May 30 as a result of the ruling by the European Court of Justice.